A weekend of cherry blossoms, books and gelato taught me to love DC once again. I’ve become inured to the sights and sounds of Washington, DC – the historic monuments, the thudding helicopters, the blue sparkle of the Potomac. I see and yet don’t see, because they’re so familiar. Playing tour guide for the weekend helped me rediscover the city. The occasion was a college reunion. Because I was the only one who still lived in the city, I was appointed tour guide. It’s hard work being tour guide! Much easier to be led by another, not knowing where you’re going to eat or what you’re going to do next, confident that the tour guide has those details figured out. Make it a large group – eight people – and make it the height of the spring tourist season, and you can understand why I was a bit anxious. Thankfully, it was an easy group that I knew from time spent together at American University. The advantage of being tour guide is going to the places you like best. Here are my choices for 36 hours in Washington, DC. My friends stayed at this boutique hotel by Hilton. Located near Logan Circle, it’s an ideal home base for visitors who want to explore the city. Even better when you get an upgrade to a top-floor suite! If you come to DC, you’re going to walk. During cherry blossom season, it’s also the easiest way to get around (other than biking, of course). 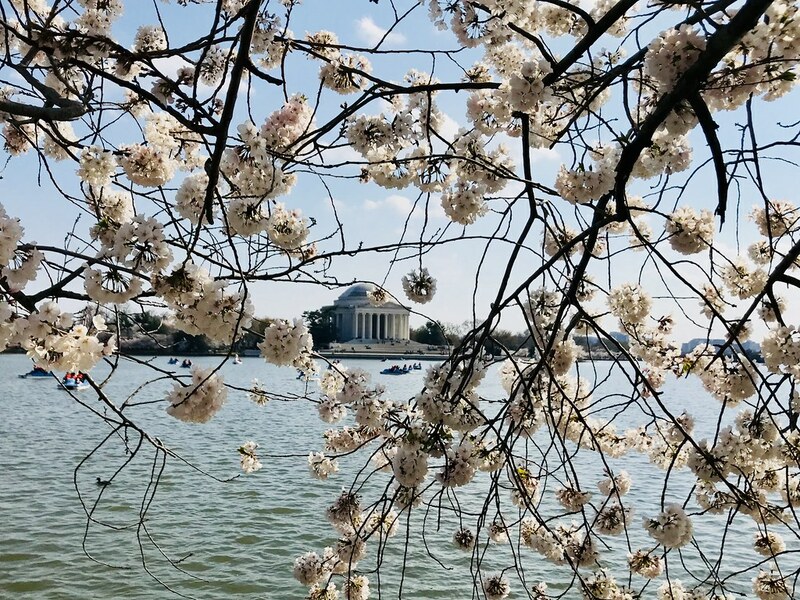 After checking-in at the Darcy, we walked down 16th St to see the cherry blossoms at the Tidal Basin, along with half a million of our friends, it seemed. The walk is about thirty minutes, and filled with interesting sights along the way, like the White House and Washington Monument. Every Thai restaurant in DC must have a pun-based name. Popular among Logan Circle locals like me, Thai Tanic been serving interesting Thai dishes on 14th St for years. They were also very accommodating as our party grew from six to eight on a busy Friday night. How I love this place! The gelato is delicious. I almost always get a combo of dark chocolate and hazelnut. If you’re with me, this is a mandatory stop. It wouldn’t be a college reunion without a trip to college. We went to AU in the pre-wonk era, which was far more fun, and considerably cheaper, than the serious world-changers of today. While the campus is nicer, with a brand new School of International Service, it’s not the same, probably due to the lack of alcohol. One of the challenges of leading a large group through DC is, “Where will we eat?” While they took my favorite burrito off the menu, Surfside in Glover Park was still a good choice. No one noticed a group of eight in this taco joint mobbed with soccer moms and kids from the field across the street. If you’re with me, you’re walking (or biking). Thankfully, my friends love to walk. 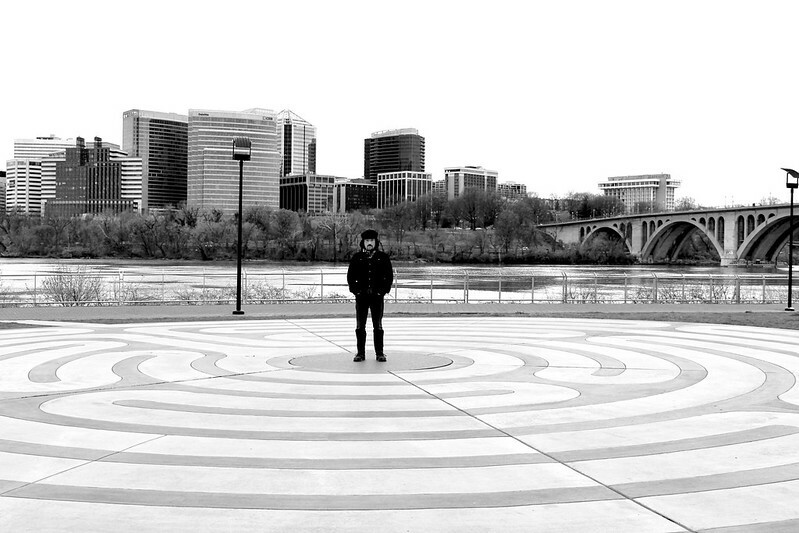 After lunch, we walked down Wisconsin Avenue and 33rd Street to the Georgetown Waterfront Park, which has a great view of Rosslyn and the Key Bridge. Georgetown Cupcake is for tourists. Instead, visit this pleasant little shop near the C&O Canal that helps military veterans and families. The scones are great and they serve Compass Coffee. Finding a table for eight on a Saturday night in Logan Circle struck me as impossible. Instead, everyone got food and drink at Whole Foods and partied back in the suite at the Darcy Hotel. Sushi, cheese, fruit, beer, wine, chicken, chocolate rugelach – we ate well, without the hassle of going out. This New Orleans-inspired coffee shop at the Darcy Hotel became the spot to meet every morning. While the beignets are more like fried dough than what you’d find in the Big Easy, they make good hangover food. Why don’t I go here more often? This sprawling market has more than just produce. You can get pancakes, pizza and even a growler of beer from Right Proper. One of those 0ff-the-beaten path places that I love, this miniature version of the Roman landmark is a spot I captured in an award-winning photo. It’s a lovely walk from Dupont Circle, as well, in which you pass art galleries and embassies. Makes a great spot for portraits. Now, this is a required stop, at least if you’re with me. 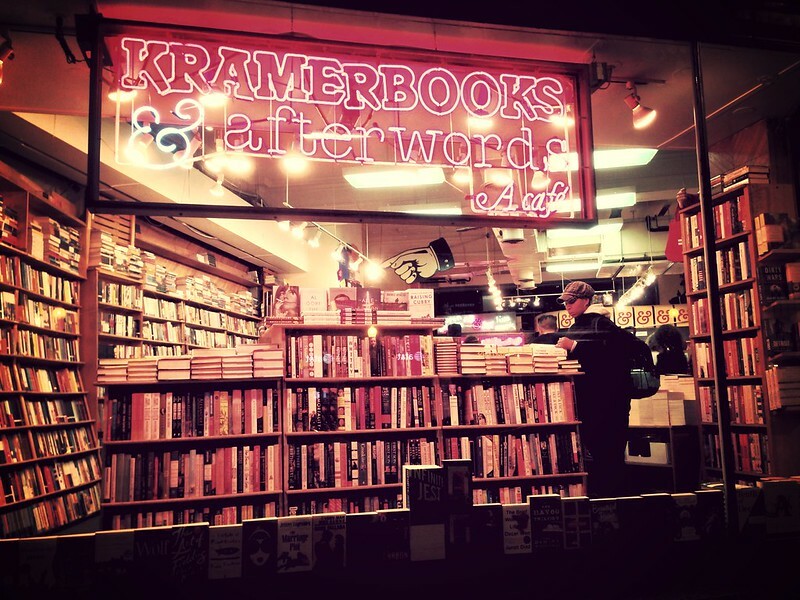 Washington loves its bookstores and Kramerbooks is the oldest and most famous. I have a connection to it too – I did a reading here. You’re sure to find something smart for the plane in this bookstore. Of course, this is just a small sample of things to do in DC. But if I’m the tour guide, there’s going to be gelato, coffee and books. That’s my DC. 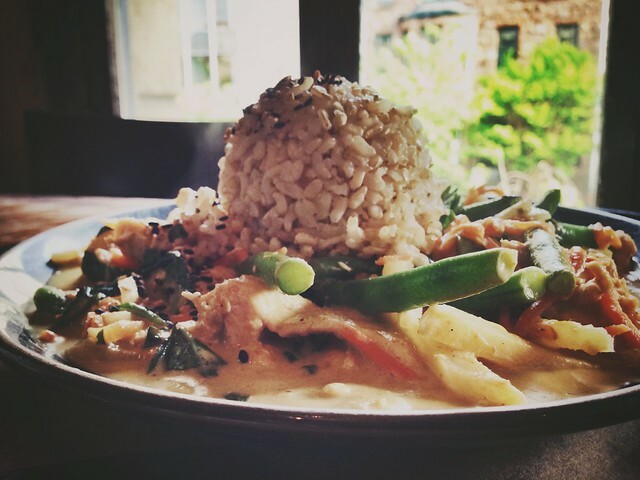 Chicken curry at Teaism, Dupont Circle, Washington, DC. I am not earthy nor crunchy. Veganism seems very sad to me. I don’t meditate and my one attempt at yoga ended in sweaty failure. Yet, I like Teaism. It’s a small, Asian-inspired eatery near Dupont Circle. It’s the type of place where you’ll find women in earnest conversation about changing the world over a pot of Lapsang tea. While I get chicken curry most of the time, the bento boxes are also delicious. 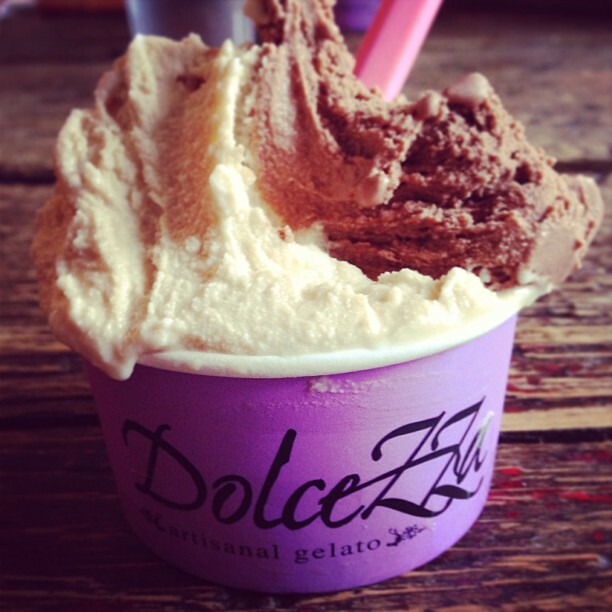 And if you feel too healthy and ommmm-like afterwards, you can always go around the corner to Dolcezza. Their gelato will restore your faith in gluttony.